I was in my local target picking out new notebooks for the coming fall semester, so of course I had to go down the makeup aisle. Money’s a little tight for me right now because I just spent a small fourtane on my school text books so I went straight to the E.L.F. display. 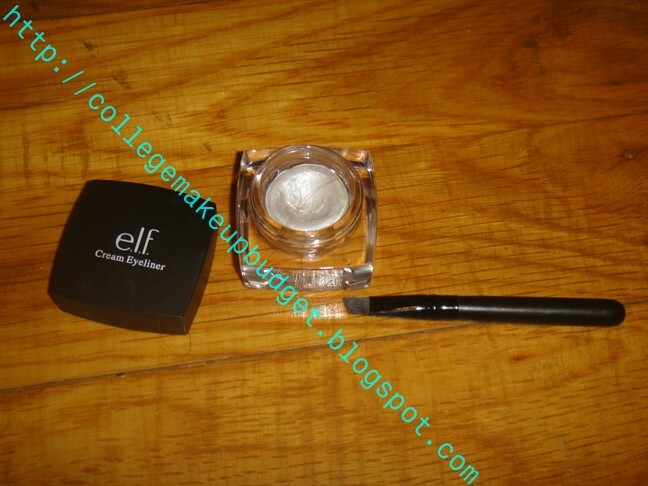 I was looking for a new cheaper version of my Holy Grail of gel eyeliners (Mac fluidline) so decided to try E.L.F.’s Studio Cream Eyeliner. E.L.F. promises :Creates smooth lines that are defined and precise. Smudge-proof, budge-proof and water-resistant coverage for all day wear to combat against, sweat, tears and rain! 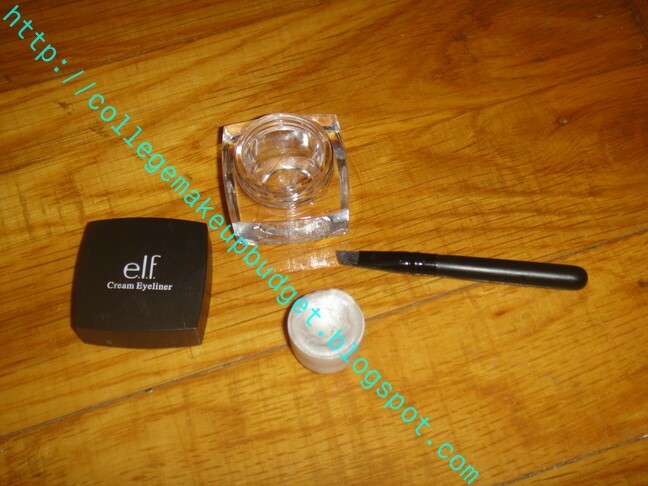 Slanted Eyeliner Brush included! I was super excited to try this out because of all the great reviews I read on this and I was looking for a cheaper gel liner. 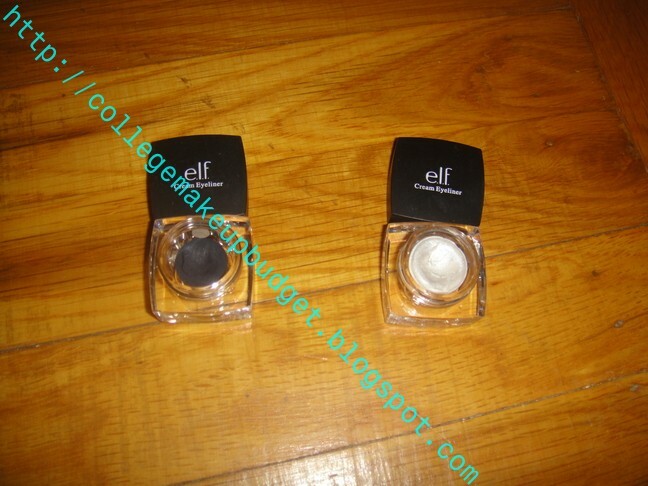 I open the black one first to try it out on my hand. I couldn’t even get the eyeliner onto the brush. I stuck a finger into the pot and the liner was as hard as a rock, not creamy at all! To my disapoointment I believed that the cream eyeliner in Midnight was dried out. So I went to try the white liner and ended up with the same results. Except the the whole chuck of white liner falls right out of the pot! 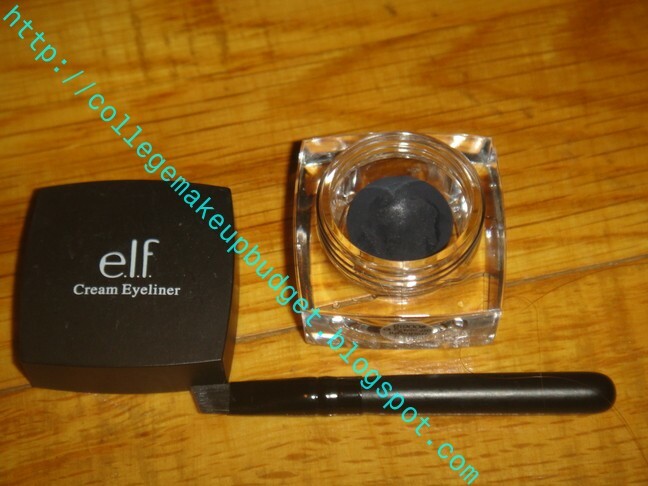 I couldn’t believe it brand new, just newly opened eyeliner didn’t even work. There was six dollars right out the door! It a real shame to because E.L.F. products are so cheap but almost all my experience with them were horrible. I couldn’t even swatch the liner to show the colors because both were unusable. I at first believed the first liner to be dried out but now after I tried the same product in Ivory I know it’s just the poor quality of the makeup itself. What I did find out that if you heat the liner up a little bit with your hair dyer and add a little water the product is almost useable, but the last power is so weak that it isn’t even worth messing around with it. Verdit: I threw both eyeliners in the trash. That was $6 out the door I will never see again. But like the saying goes, you live and you learn. The brushes it came with are poor quality as well, I tried it with my fluidline and had a hard time applying the gel liner. Hello There! I saw all of the various kind comments you have left on my blog ( http://aswrittenbyabiggirl.blogspot.com/ ) and I just thought I would stop by and tell you that I really appreciate your kindness and support of what I do. Thank You! I see you are a new blogger and I hope all the best to you on your future blogging endeavors! I found the same thing with these – I got Midnight and it is just so hard and impossible to work with. It must be a formulation problem. Its strange because I have seen good reviews of these, maybe only the black is any good.